“Even at normal doses, taking psychiatric drugs can produce suicidal thinking, violent behavior, aggressiveness, extreme anger, hostility, irritability, loss of ability to control impulses, rage reactions, hallucinations, mania, acute psychotic episodes, akathisia, and bizarre, grandiose, highly elaborated destructive plans, including mass murder. “Withdrawal from psychiatric drugs can cause agitation, severe depression, hallucinations, aggressiveness, hypomania, akathisia, fear, terror, panic, fear of insanity, failing self-confidence, restlessness, irritability, aggression, an urge to destroy and, in the worst cases, an urge to kill.” – From “Drug Studies Connecting Psychotropic Drugs with Acts of Violence” – unpublished. My previous article on Global Research discussed the frustration of large numbers of aware observers around the world that were certain that Andreas Lubitz, the suicidal mass murderer of 149 passengers and crewmembers of the of the Lufthansa airliner crash, was under the intoxicating influence of brain-disabling, brain-altering, psychotropic medicines that had been prescribed for him by his German psychiatrists and/or neurologists who were known to have been prescribing for him. These inquiring folks wanted and needed to know precisely what drugs he had been taking or withdrawing from so that the event could become a teachable moment that would help explain what had really happened and then possibly prevent other “irrational” acts from happening in the future. For the first week after the crash, the “authorities” were closed mouthed about the specifics, but most folks were willing to wait a bit to find out the truth. However, another week has gone by, and there has still been no revelations from the “authorities” as to the exact medications, exact doses, exact combinations of drugs, who were the prescribing clinics and physicians and what was the rationale for the drugs having been prescribed. Inquiring minds want to know and they deserve to be informed. There are probably plenty of reasons why the information is not being revealed. There are big toes that could be stepped on, especially the giant pharmaceutical industries. There are medico-legal implications for the physicians and clinics that did the prescribing and there are serious implications for the airline corporations because their industry is at high risk of losing consumer confidence in their products if the truth isn’t adequately covered up. And the loss of consumer confidence is a great concern for both the pharmaceutical industry and its indoctrinated medical providers. It looks like heavily drugged German society is dealing with the situation the same way the heavily drugged United States has dealt with psychiatric drug-induced suicidality and drug-induced mass murders (such as have been known to be in a cause and effect relationship in the American epidemic of school shootings – see www.ssristories.net). The Traffickers of Illicit Drugs That Cause Dangerous and Irrational Behaviors Such as Murders and Suicides are Punished. Why not Legal Drug Traffickers as Well? But there is a myth out there that illegal brain-altering drugs are dangerous but prescribed brain-altering drugs are safe. But anyone who knows the molecular structure and understands the molecular biology of these drugs and has seen the horrific adverse effects of usage or withdrawal of legal psychotropic drugs knows that the myth is false, and that there is a double standard being applied, thanks to the cunning advertising campaigns from Big Pharma. 1) What cocktail of 9 different VA-prescribed psych drugs was “American Sniper” Chris Kyle’s Marine Corps killer taking after he was discharged from his psychiatric hospital the week before the infamous murder? 2) What were the psych drugs that Robin Williams got from Hazelden just before he hung himself? 3) What were the myriad of psych drugs, tranquilizers, opioids, etc that caused the overdose deaths of Philip Seymour Hoffman, Michael Jackson, Whitney Houston, Heath Ledger, Anna Nicole Smith, etc, etc, etc (not to mention Jimi Hendrix, Bruce Lee, Elvis Presley and Marilyn Monroe) – and who were the “pushers” of those drugs? 4) What was the cocktail of psychiatric and neurologic brain-altering drugs that Andreas Lubitz was taking before he intentionally crashed the passenger jet in the French Alps – and who were the prescribers? 5) What are the correctly prescribed drugs that annually kill over 100,000 hospitalized Americans per year and are estimated to kill twice that number of out-patients? Because the giant pharmaceutical companies want these serious matters hushed up until the news cycle blows over (so that they can get on with business as usual), and because many prescribing physicians seem to be innocently unaware that any combination of two or more brain-altering psychiatric drugs have never been tested for safety (either short or long-term), even in the rat labs, future celebrities and millions of other patient-victims will continue dying – or just be sickened from a deadly but highly preventable reality. But what about “patient confidentiality”, a common excuse for withholding specific information about patients (even if crimes such as mass murder are involved)? It turns out that what is actually being protected by that assertion are the drug providers and manufacturers. Common sense demands that such information should not be withheld in a criminal situation. America’s corporate controlled media makes a lot of money from its relationships with its wealthy and influential corporate sponsors, contributors, advertisers, political action committees and politicians, but, tragically, the media has been clearly abandoning its historically-important investigative journalistic responsibilities (that are guaranteed and protected by the Constitution). It is obvious that the media has allied itself with the corporate “authorities” that withhold, any way they can, the important information that forensic psychiatrists (and everybody else) needs to know. We should be calling out and condemning the authorities that are withholding the information about the reported “plethora of drugs” that is known to have been prescribed for Lubitz by his treating “neurologists and psychiatrists”, drugs that were found in his apartment on the day of the crash and identified by those same authorities who have not revealed the information to the people who need to know. Two weeks into the story and there still has been no further information given, or as far as I can ascertain, or asked for by journalists. So, since the facts are being withheld by the authorities, I submit some useful lists of common adverse effects of commonly prescribed crazy-making psych drugs that Lubitz may have been taking. Also included are a number of withdrawal symptoms that are routinely and conveniently mis-diagnosed as symptoms of a mental illness of unknown cause. And at the end of the column are some excerpts from the FAA on psych drug use for American pilots. I do not know how different are the rules in Germany, but certainly both nations have to rely on voluntary information from the pilots. Blurred vision, breast enlargement/breast milk flow, constipation, decreased sweating, dizziness, low blood pressure, imbalance and falls, drowsiness, dry mouth, headache, hyperprolactinemia (pituitary gland dysfunction), increased skin-sensitivity to sunlight, lightheadedness, menstrual irregularity (or absence of menstruation), sexual difficulty, (decline in libido, anorgasmia, genital pain). 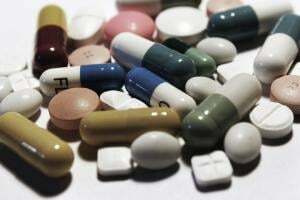 Pilots can only take one of four antidepressant drugs – Celexa (Citalopram), Lexapro (Escitalopram), Prozac (Fluoxetine) and Zoloft (Sertraline). Most psychiatric drugs are not approved under any circumstances. To assure favorable FAA consideration, the treating physician should establish that you do not need psychotropic medication. The medication should be discontinued and the condition and circumstances should be evaluated after you have been off medication for at least 60 and in most cases 90 days. Should your physician believe you are an ideal candidate, you may be considered by the FAA on a case by case basis only. Applicants may be considered after extensive testing and evidence of successful use for one year without adverse effects. Medications used for psychiatric conditions are rarely approved by the FAA. The FAA has approved less than fifty (50) airmen under the FAA’s SSRI protocol. After discontinuing the medication, a detailed psychiatric evaluation should be obtained. Resolved issues and stability off the medication are usually the primary factors for approval. Dr Kohls is a retired physician who practiced holistic mental health care for the last decade of his family practice career. He writes a weekly column on various topics for the Reader Weekly, an alternative newsweekly published in Duluth, Minnesota, USA. Many of Dr Kohls’ weekly columns are archived at http://duluthreader.com/articles/categories/200_Duty_to_Warn.